I’ve known for a long time that having your own website (or blog) is essential for your business. Not just a Facebook page or an Instagram account – but your very own website. 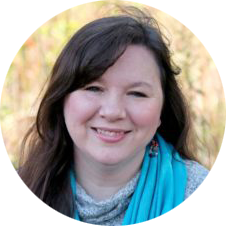 And today I’m going to tell you… Why You Must Own Your Own Website or Blog. Here’s what happened to me recently to prove this to you. 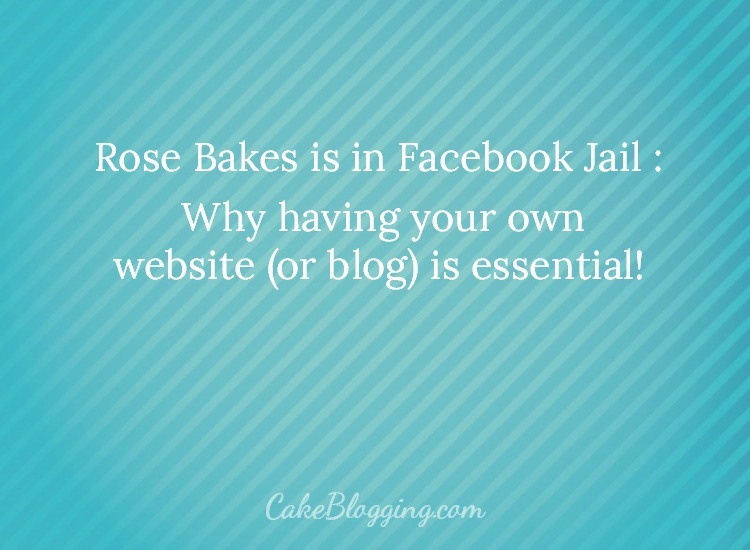 Facebook put Rose Bakes “in jail”. Did you know Facebook could do that? They can. Facebook locked me down and threw away the key… for a month (this happened on June 29). They didn’t give me any idea what I did wrong other than them sending me this cryptic message that I was posting ” false, misleading, fraudulent, or deceptive claims or content” and they’ve blocked me from sharing links for A MONTH. I tried appealing – I was denied within seconds (nobody even read my appeal). I tried telling them it was a mistake – nobody would listen or reply to an email. If I 100% depended on Facebook for my traffic and income, I’d be out of a lot of income for a month. I am still missing out one some traffic and income – especially since I’ve been busting it to build my Facebook page since March, but as of now, it’s still not a huge source of traffic/income for me. Granted, I can still share pictures or information (without links and even a few links are going through), so it’s not completely dead. In fact, if we were talking about my real-life cake business, this “link block” may not affect my business that much. But Facebook could do that too. Block me from sharing anything. Or shutting down my page altogether if they wanted. Why? Because I don’t own my Facebook page. Or my Twitter account, my Pinterest account, or my Instagram account. Yes, I administer them and schedule them and manage them – but I don’t own them. Those are owned by those social media companies and ultimately, when the rubber hits the road, they’re not mine. But I do own my websites – my blogs. And my email list. Those are mine and no social media company can take them away, block them, shut them down or prevent me from sharing on them. This is why, if you own a business – especially one that earns income online, you must own your own website (or blog) and email list. You simply must. If you depend on another company (like a social media outlet) for your livelihood, then you risk them taking it away on a whim or it no longer being the “in” thing (like MySpace or more recently, Periscope). Granted, I think what happened to me is pretty rare and I will always continue to use social media to my benefit. But I will never rely on it 100% because it is possible that your account can be taken away (I am proof). 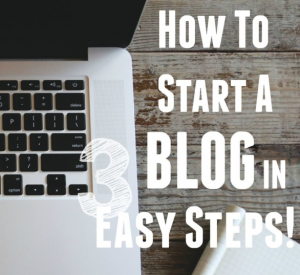 So, if you don’t arealdy have a website – GO HERE to find out how to start one in 3 Easy Steps! Have questions? Leave a comment or sign up for a coaching session to talk to me personally.